The Chinese Bus Market is booming, with production of around 300.000 buses per year. 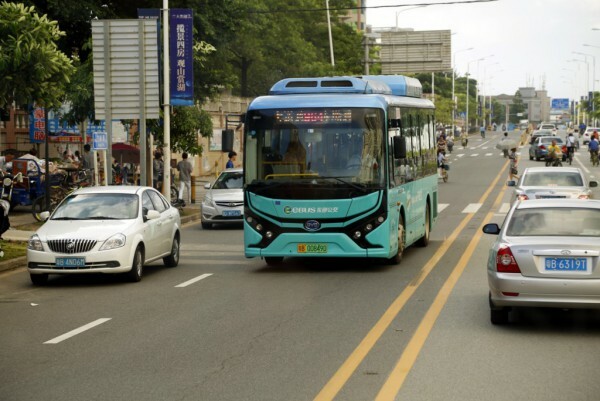 The city of Guangzhou the Guangdong Machinery & Electric Equipment Tendering Center Co., Ltd. and Guangzhou Guoke Bidding Agent Co., Ltd., have issued tenders for a total 4,810 electric buses. BYD has now received confirmation to build 4,473 of these buses. BYD, Build Your Dreams, entered with two bids by its Guangzhou BYD Auto Sales Company Limited subsidiary. It announced that it recently received successful bid confirmation notices for two bidding projects, worth RMB 3,707,841,600 and RMB 1,813,619,600 respectively (700 million euro in total). BYD is to deliver 4,473 electric buses (889 of their new 8 metre model, 2,419 of the 10 metre model and 1,165 12 metres) to several public transport operators in the city of Guangzhou for which BYD will sign individual agreements with the customers. China is market leader when it comes to the use of electric buses. Last year over 106.000 electric and hybrid plug-in buses were registered. double deck vehicles being used in the London fleets.